To manage other capabilities for your Class Notebooks, click the Manage notebooks button from the Class Notebook wizard. I don’t see the OneNote Class Notebook icon in my app launcher. What’s wrong? 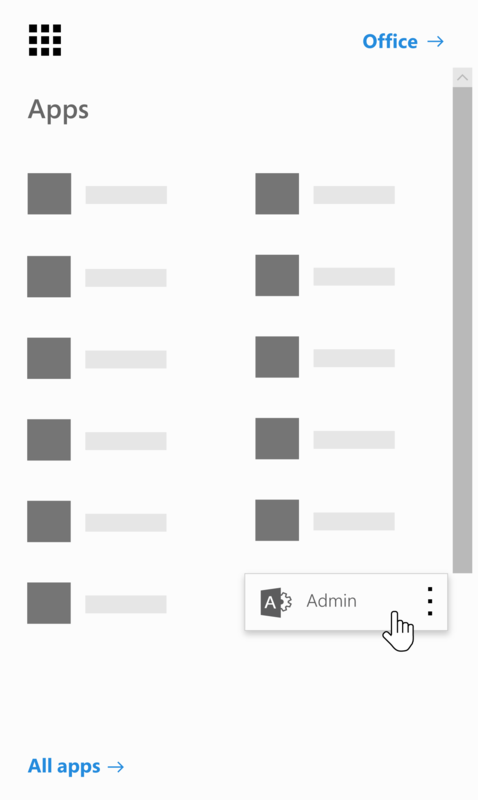 Open the app launcher and then click Admin. 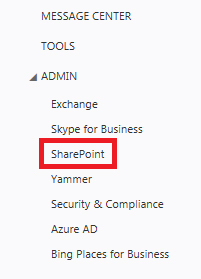 In the left navigation pane, under Admin, click SharePoint. On the next screen, in the left navigation pane, click Settings. 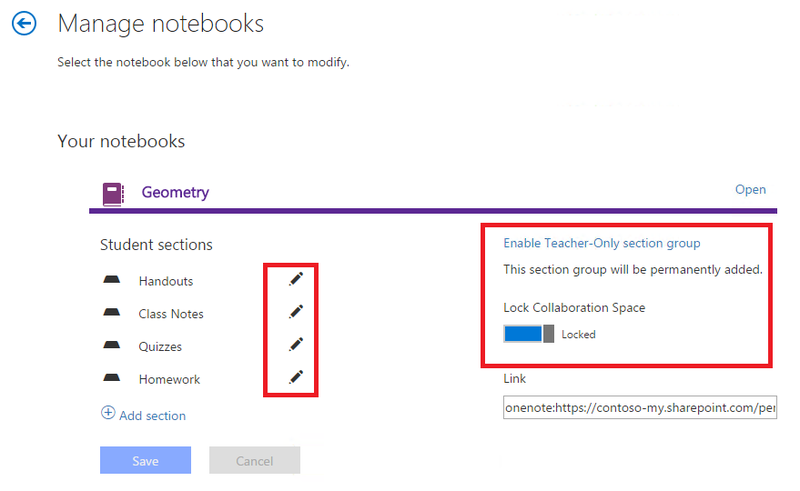 Check that OneNote Class Notebook is set to Show. If you still don’t see the OneNote Class Notebook icon after following the preceding steps, please send us an email at onenoteedu@microsoft.com.